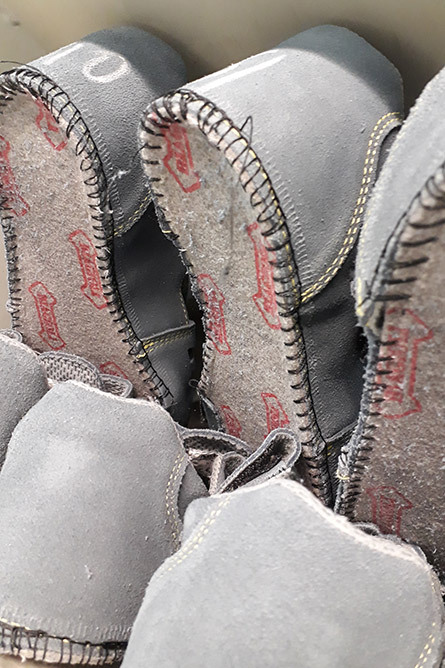 We offer a wide range of insoles for cemented, strobel, and stitched shoes, as well as special metal free and zero perforation insoles for safety shoes. Our wide range of products meet various international safety requirements including zero perforation, insulation, antistatic, conductive or antibacterial standards. Our safety shoe insoles comply with all EN ISO 20344 – 20345 standards. Our nonwoven based insoles have perfect breathability and dimensional stability. We have also thermo formable nonwoven materials can also be found in our product range, which are suitable for removeable footbeds. These laminated materials are available in antibacterial or antistatic variant in different colors. Our zero perforation insoles meet the specifications required by the new EN 12568:10 They can be purchased in antistatic, conductive, and insulating variants.